Camping Erfgoed de Boemerang es un camping en Meppen, Drente, situado al borde de un lago/estanque de recreo. El camping tiene plazas con cercos, con sombra, sin sombra y parcelas con algo de sombra. Cabe alquilar apartamentos. Es posible utilizar el internet, pues en el 80% del camping se puede navegar por internet con el ordenator portátil. Este inspector visita cada año al Camping Erfgoed de Boemerang y lo inspecciona considerando más de 200 servicios y otros aspectos importantes. El inspector es un trabajador de ACSI y no trabaja para el camping. Excellent small site set in a quaint village in the flattest region in Holland, so good for cycling(!). Nice layout with the area split into small pockets containing 2-4 pitches separated by hedges and trees. Cars are parked in a separate area, which adds to the ambience. Very good toilets facilities with soap dispensers at every tap, including washing up sinks. Unisex WC cubicles are light, airy and each has a sink (with soap). Good showers work on a timer system which is very practical. Free wifi. Good for a stop-over travelling north, being 200 km from Ijmuiden. Don't know what you would do on a longer stay apart from visit local museums and the nearby canal. Seems to be very popular with Dutch caravanners. Owners speak good English and are obviously interested in pleasing their guests. Only drawback is the lack of water taps near the pitches, so motorhomes should stop at the central toilet facilities on the way in. Probably best to book in high season. ¿Desea reservar u obtener más información sobre su camping Camping Erfgoed de Boemerang? Puede hacerlo mediante los datos siguientes o a través de la web del camping. A37 Hoogeveen-Emmen. Sal. Oosterhesselen (N854) dir. Meppen. Después dir. Mantinge. Seguir las señales. 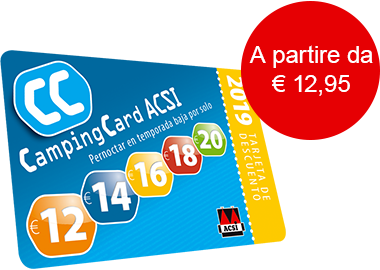 ACSI Eurocampings reenvía su solicitud de información al "Camping Erfgoed de Boemerang".